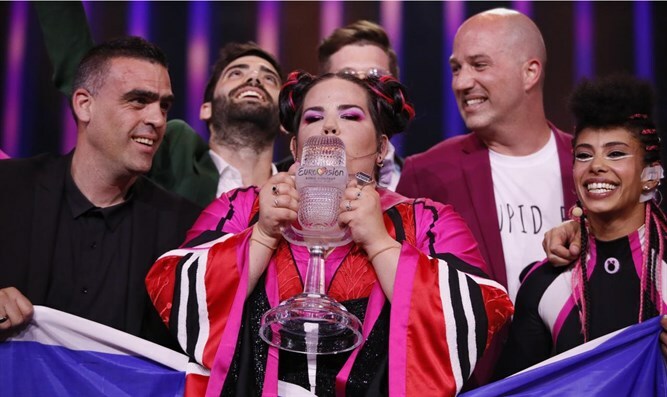 Israel Broadcasting Association warns Israel must pay 12 million Euros or lose right to hold Eurovision contest next year. Gil Omer, chairman of the board of the broadcasting corporation, appealed today to Prime Minister Binyamin Netanyahu and threatened that the corporation would announce to the European Broadcasting Union (EBU) this week that he would give up the 2019 Eurovision Song Contest in Israel. The corporation is having difficulty securing a guarantee of 12 million euros ($13.7 million), which the European Broadcasting Union is demanding be deposited in a bank in Switzerland. "In two days' time, the Israel Broadcasting Corporation will be required to provide a guarantee of 12 million Euros to ensure the existence of the Eurovision 2019 competition in Israel, a point of no return, after which if the guarantee is not provided by the European Broadcasting Union, it will not be possible to change the situation and Eurovision 2019 cannot exist in Israel," Omar wrote to Netanyahu. Omer added that "for the past two weeks I have been making great efforts to inform the decision makers of the obstacles we face in order to make every effort to resolve them. In various letters I sent during this period, I noted that we see great importance in the competition in Israel, Both in terms of image and economic perspective. "Unfortunately, our repeated requests for intensive work to solve the major problems that stand in the way of competition in Israel have not been answered," Omer added in his letter to the prime minister.